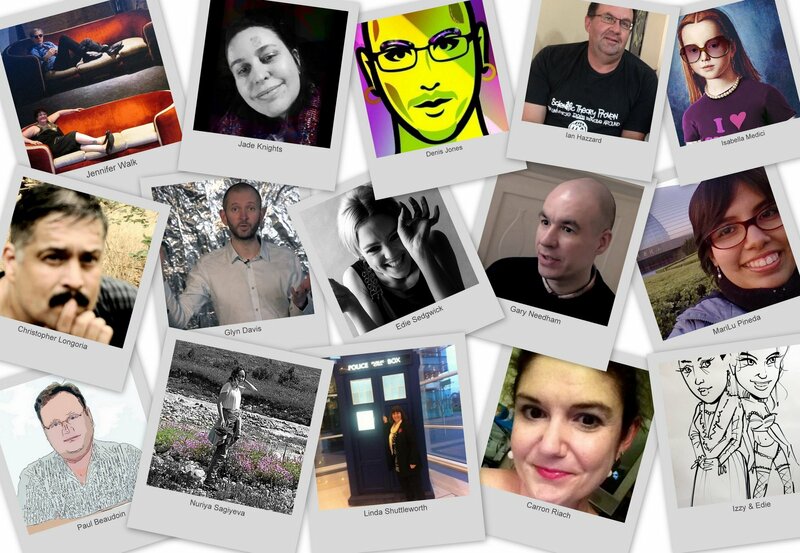 Welcome to the Warhol Issue of MOOC Magazine! Welcome to the Summer Solstice (Winter in South Hem.) Issue of MOOC Magazine! Welcome to the Inaugural Issue of MOOC Magazine! The focus of this Inaugural Issue of MOOC Magazine! is the creative output of Glyn Davis‘ Warhol MOOC from University of Edinburgh / Coursera. Welcome to MOOC Magazine’s Warhol Issue! Following a wonderful MOOC experience designed and led by Glyn Davis of University of Edinburgh / Coursera, we’re happy to present work from a number of MOOC participants. What an emotional roller coaster Warhol MOOC has been for me! Dr. Glyn Davis has taken the MOOC format far beyond lecture mode or “Doc on a Laptop” and had an amazing presence and interaction with his 24,054 students! Gary Needham of Nottingham Trent University, co-editor with Glyn Davis of Warhol in Ten Takes, has written an inspiring introductory essay for us! In Nothing special: Warhol’s childhood scrapbook Needham encourages us to explore beyond Canonical Warhol into the deeper, less traveled parts of his massive oeuvre. As we were putting the final touches on this Warhol Issue of MOOC Magazine, we received the sad news that Factory Superstar Ultra Violet passed away on Saturday, June 14, at the age of 78. 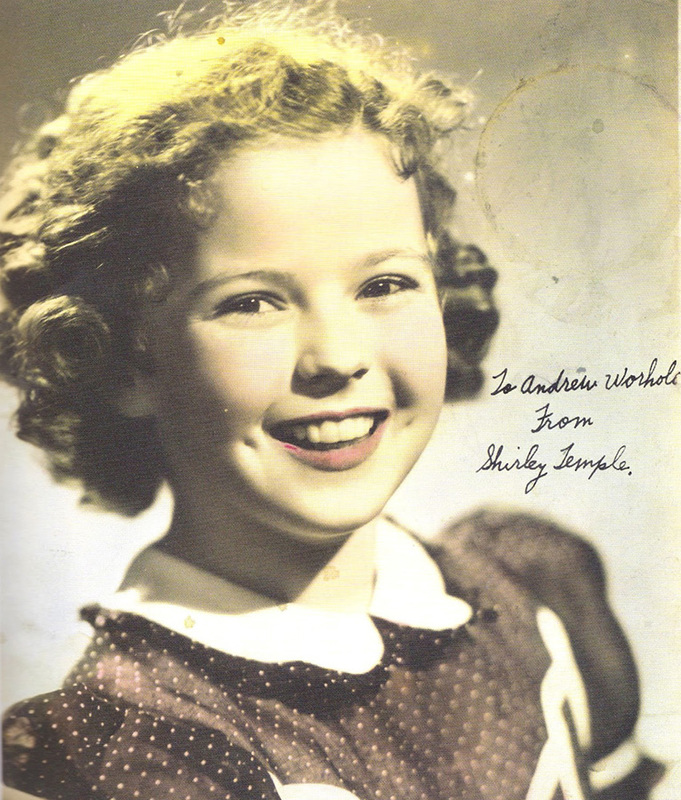 We’ve set up a page with a few small memories of her and invite you to leave a message. 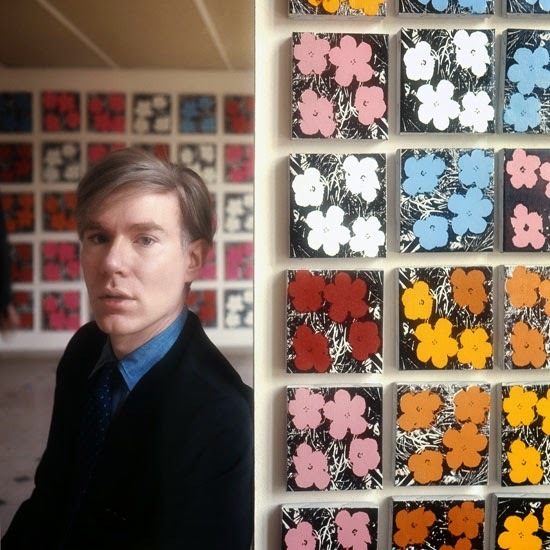 It’s taken Art History a long time to begin to give Warhol Films equal consideration with Warhol Painting. Glyn Davis certainly strove for that in Warhol MOOC, and while the contributions here don’t quite represent proportionality yet, we do have a wonderful consideration of Andy Warhol’s Kiss from Nuriya Sagiyeva. In the days before digital photography, Edwin Land’s Polaroid Instant Photographs were embraced by both professional and amateur photographers. Of all the photographers who used the miracle of instant images, perhaps no one is more iconically associated with Polaroid cameras than Andy Warhol. 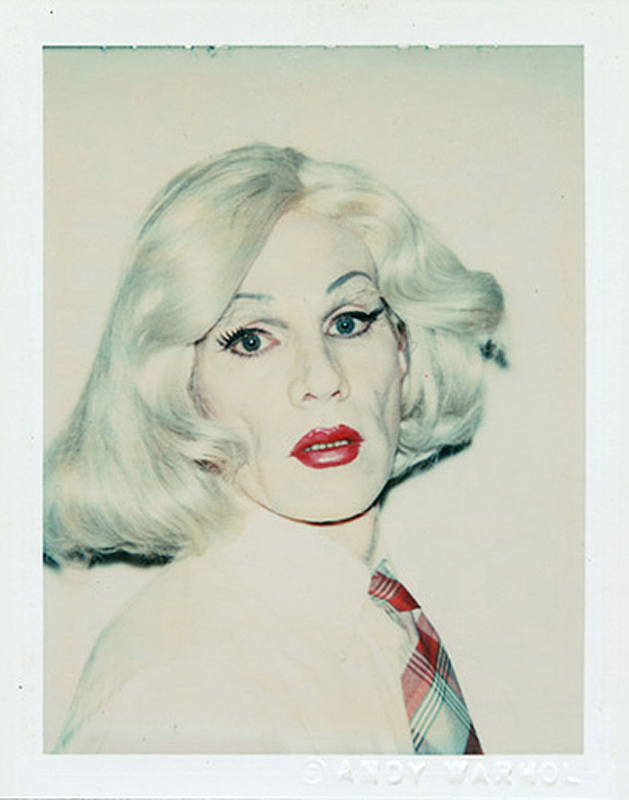 Here are Jennifer Walk’s reflections on Self-Portrait in Drag, from the series of 356 Polaroids shot by Christopher Makos on two days in October 1981. Andy Warhol created over fifty album covers during his career! Among them such classics as The Rolling Stones’ Sticky Fingers featuring a crotch photo of denim jeans with a working zipper. Back in the day record collectors noted how aggressive Warhol’s zipper was, attacking any other records that dared to brush up against it. 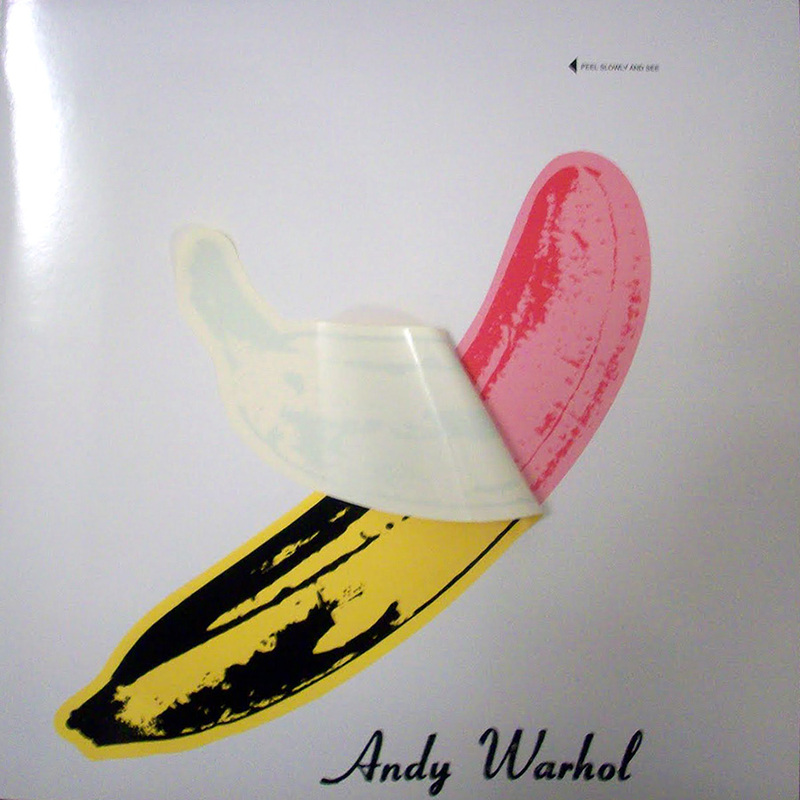 Of all his cover art, none has been more celebrated than Warhol’s peelable banana cover for The Velvet Underground & Nico, 1967. Alan Mansfield shares the story with us. Unlike his infamous 13 Most Wanted Men, Andy Warhol’s installation at NorthPark Center in Dallas isn’t one he designed as an installation. It’s 10 screenprints that Mall developer Raymond Nasher installed there. Once again Warhol finds collaborators! Christopher Longoria heads out to the mall to see the art and ends up becoming a bit of a Joshua Bell in the DC Metro social provocateur. Mirroring popular culture, the largest part of our MOOC Magazine Warhol Issue is indeed focused on Warhol’s enormous painting output. Jade Knights writes about Flowers, Linda Shuttleworth about Ethel Scull 36 Times, Denis Jones about Last Supper, and Americo Neves about Dollar Sign. Within Warhol Paintings a number of MOOC Authors have been drawn to Warhol’s Death & Disaster series (as have enormous sums at recent art auctions!) Carron Riach writes about Green Car Crash, Paul Beaudoin about Flash, and Ian Hazzard about Electric Chair. May 1, 1965: Andy, Edie, Chuck & Gerard in bed in a Paris hotel while waiting for Andy’s Flowers show to open at Gallery Sonnabend. Finally Edie has given us a few harder to classify pieces. First A Little Bird Told Me which is a collection of Glyn Davis’ tweets during the weeks of Warhol MOOC, then Andy Warhol vs Jack Bauer, Edie’s imaginary Epic Rap Battle of History wherein she contemplates who America’s greatest torturer is, and finally Edie Sedgwick which is a consideration of Edie as an Andy Warhol work of art. Thank you for visiting the Warhol Issue of MOOC Magazine! We hope you enjoy it and please do comment on any of the articles. None of the authors here are paid for their contributions and most aren’t working on tenure or promotion, these are truly acts of love. Everyone will be pleased to continue the dialog through your comments. MOOC Magazine! is published quarterly on each Solstice / Equinox. Please join us again on September 22, the Northern Hemisphere’s Autumn Equinox, and the Southern Hemisphere’s Spring Equinox, for the Practice Based Research In the Arts Issue, featuring the creative output of artist-scholars from Leslie Hill & Helen Paris’ MOOC from Stanford University / NovoED.